A cookbook of her recipes is such a wonderful tribute to your mother, Vickie, and a lovely keepsake for her family. 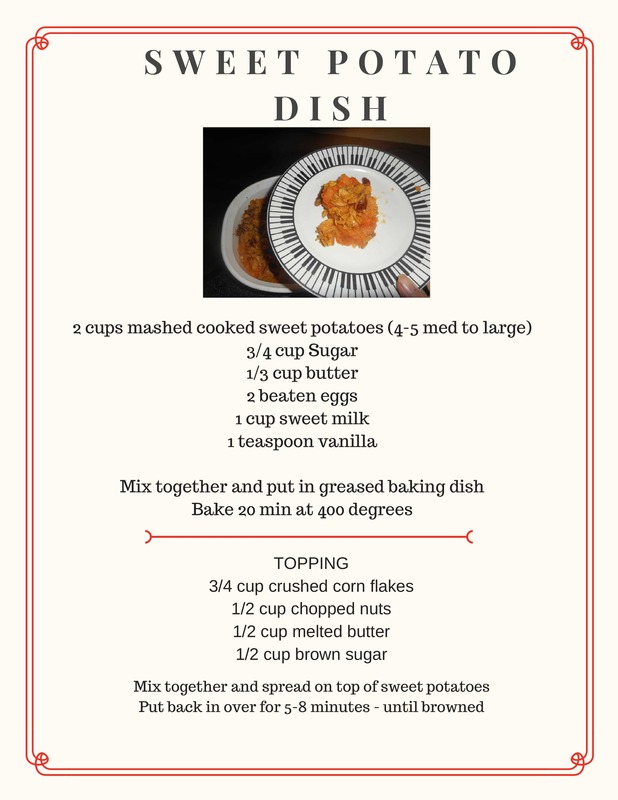 This sweet potato number sounds and looks delicious. Thinking of you on the first Thanksgiving without her and sending you a jumbo hug.